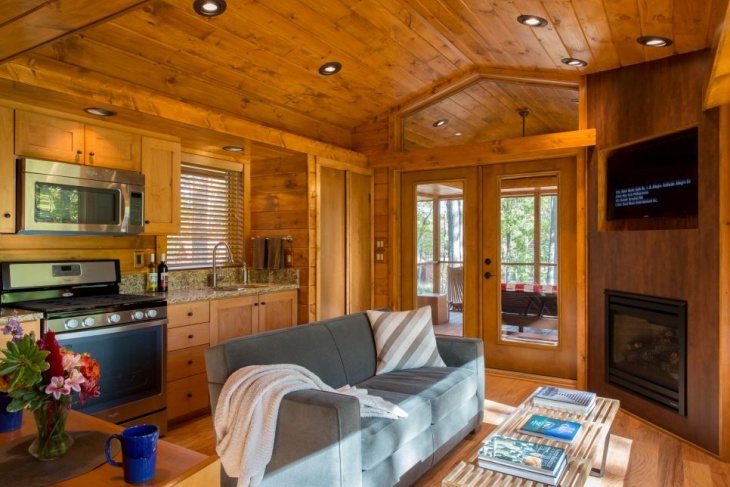 People who love a lot of variety and spice in their lives crave to spend at least a few years of their lives in a cabin room. 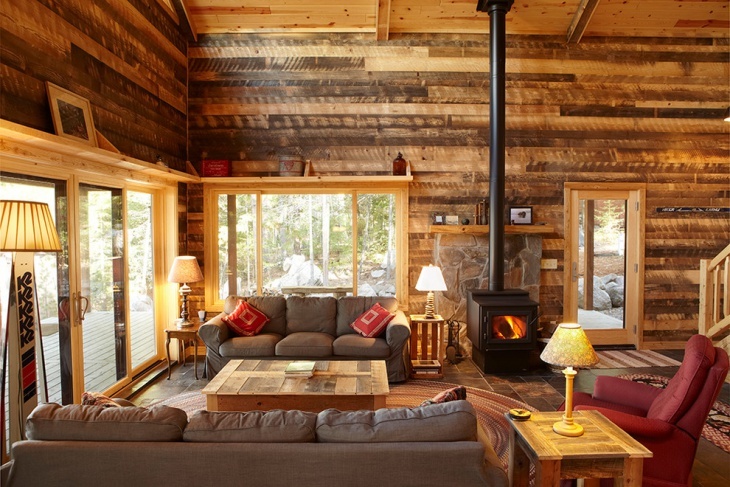 A cabin is room is a small cottage-like home, mostly temporary in nature and are made of log or wood. 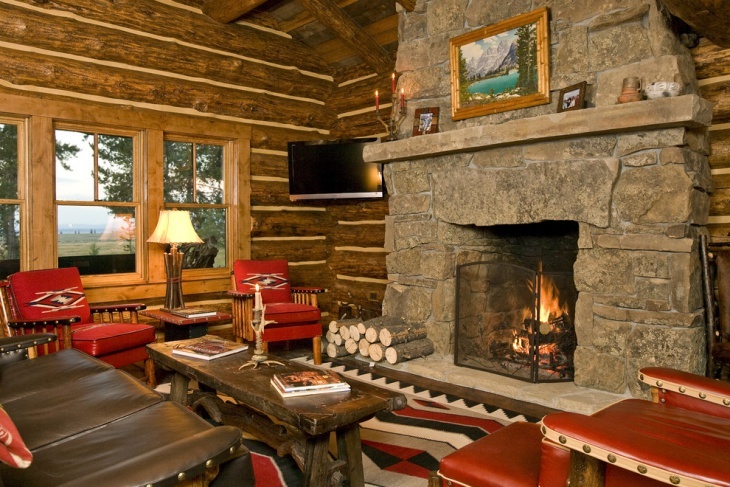 A perfect Cabin Living Room can bring about a rustic lifestyle, and with the best incorporation of designing ideas, you can create a more enjoyable living environment. 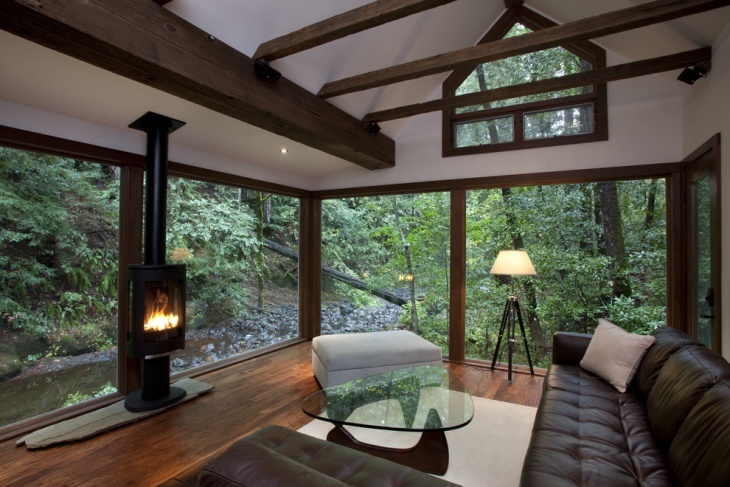 Here, you will find ten innovative cabin living room design ideas that will definitely live up to your taste. When you crave to turn the outer room into a living room, get in touch with a grey sofa, with the capacity to accommodate three to four people. This will match the interior color or raw wood. In front of it place a small table to keep necessary articles. 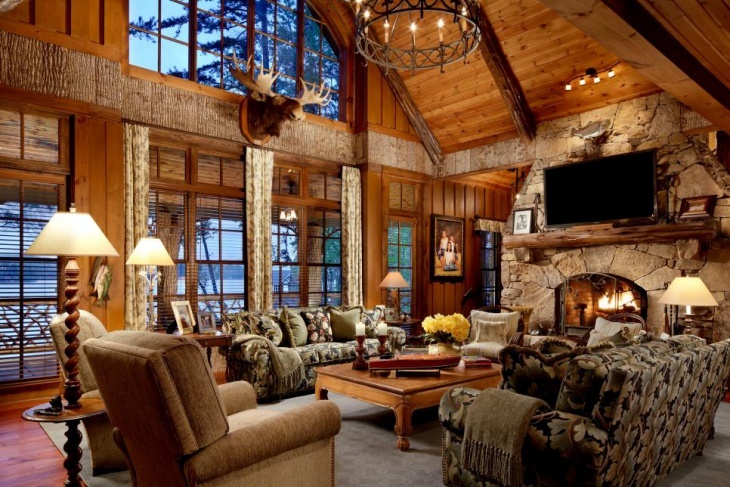 When you have a rustic living at the back of your mind, opt for a stone fireplace inside the cabin that will look elegant and natural. Place accent chairs for living room sitting and install plexiglass in the dark brown window frame to get a great look in the cabin. 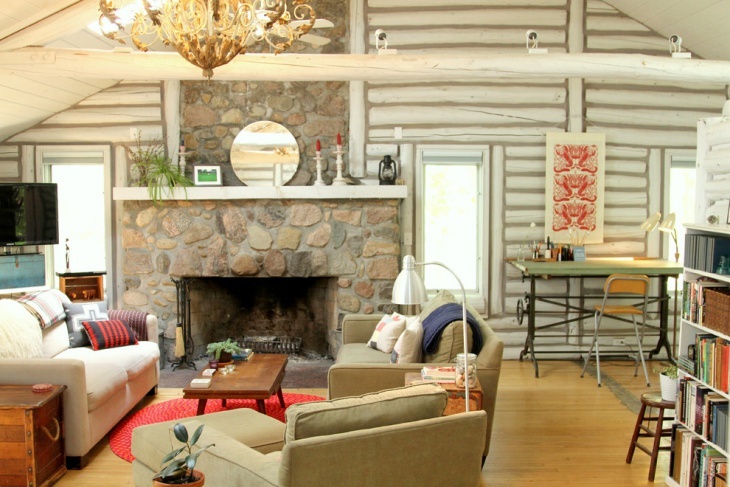 When you have a log living room small in size, you can make it look compact and beautiful by installing a single sofa. A grey or ash colored sofa is compatible to the interior. Place it beside the staircase and have a light colored cushion to boost up the comfort level. 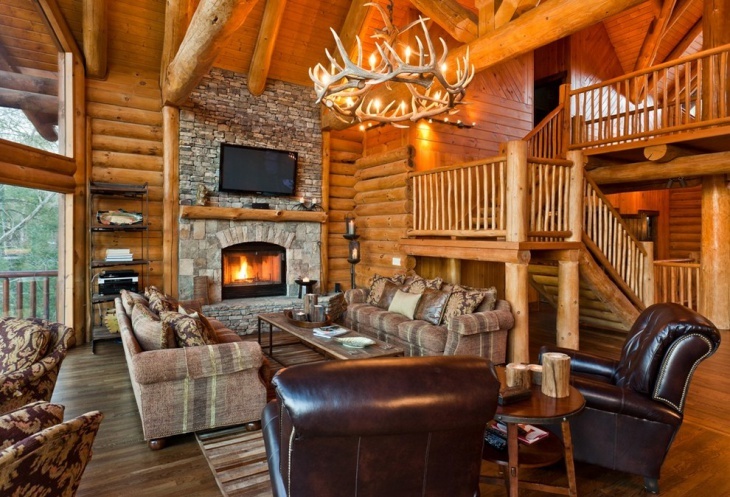 When you have a fashionable log cabin house, you can make the interior even more rustic by choosing the right furniture. Large and comfortable sofas with a polished leather outer covering, black in color will live up to the essence of the room. 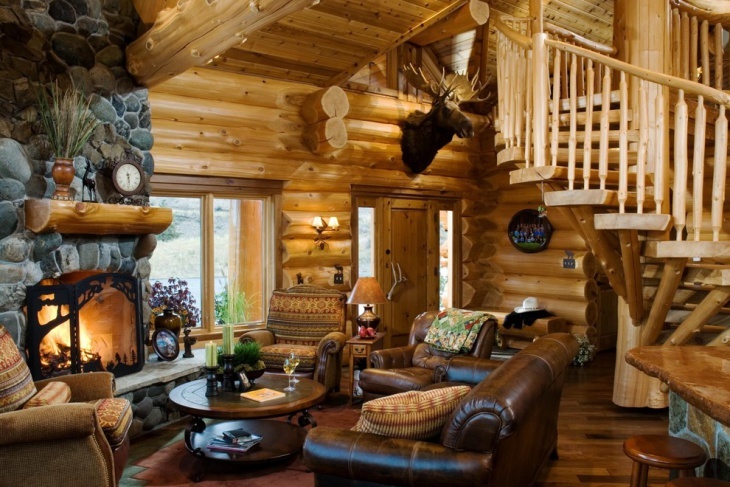 This goes well with a round staircase and log walls. 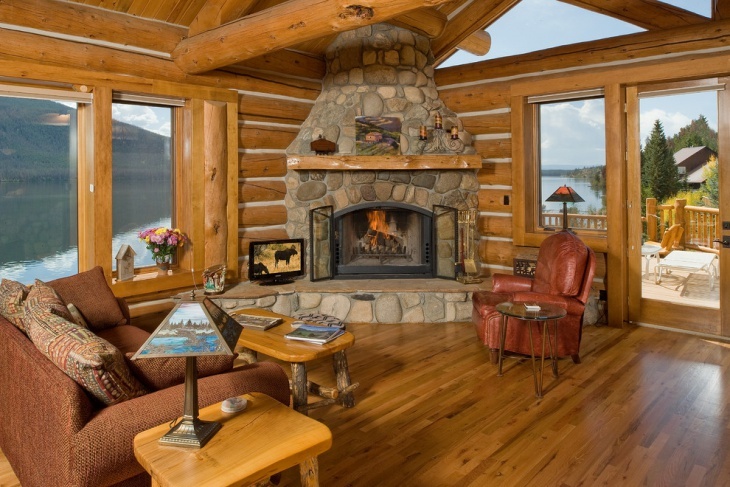 Oak furniture brings a natural elegance to a room and when you get these for a cabin, you will get the right blend of sophistication and inherent beauty. 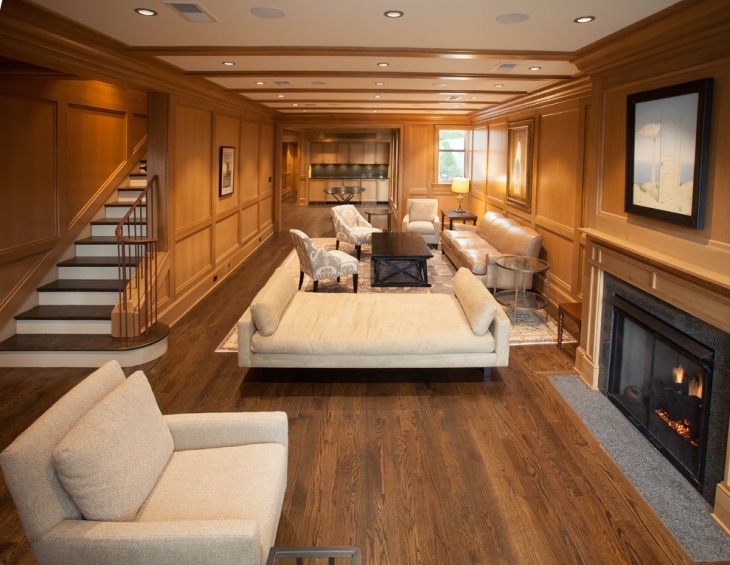 Install a red oak floor to match the walls and furniture. Stained white oak will also find a good combination here. 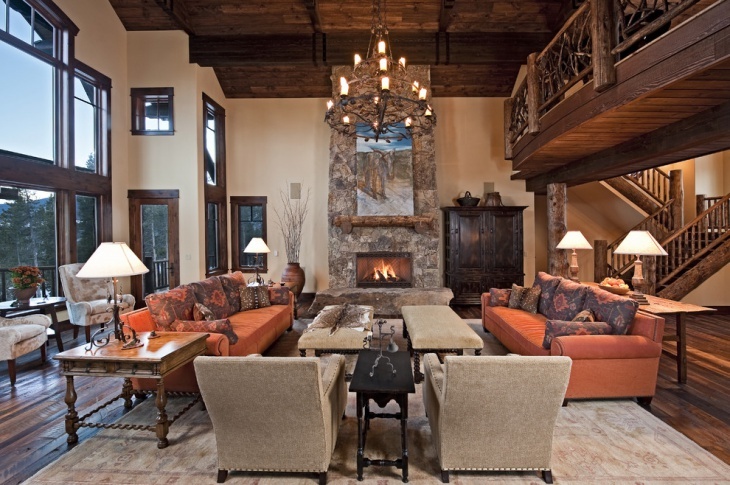 People fond of rustic living have loved the royal furniture in the room. 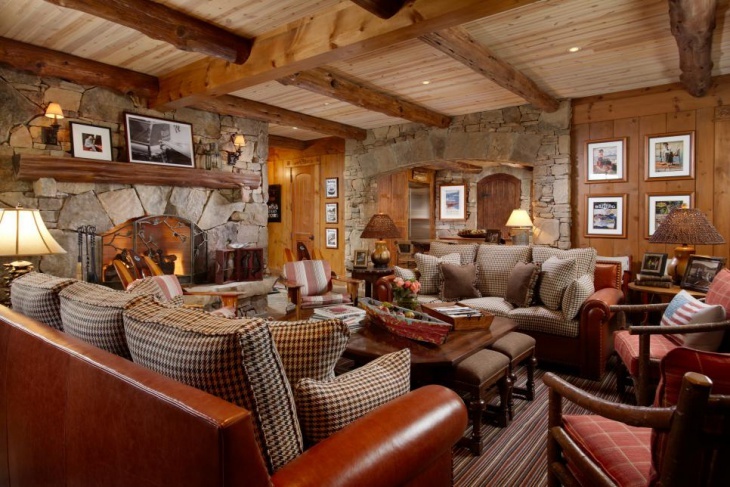 These include well-cushioned sofas, a centrally placed low table and other wooden accessories that deliver a great look to the place. 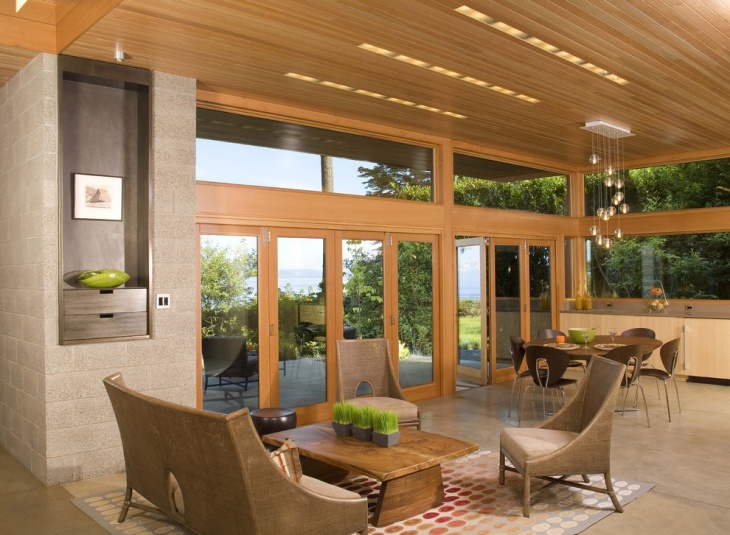 Paint the supporting beams of the room in a darker shade of brown to get a good match. You can get some beautiful furniture for the living room when you have a window casing and loft railing in the room. You can choose a matching art over the fireplace and get in touch with some twig art to complement the furniture. 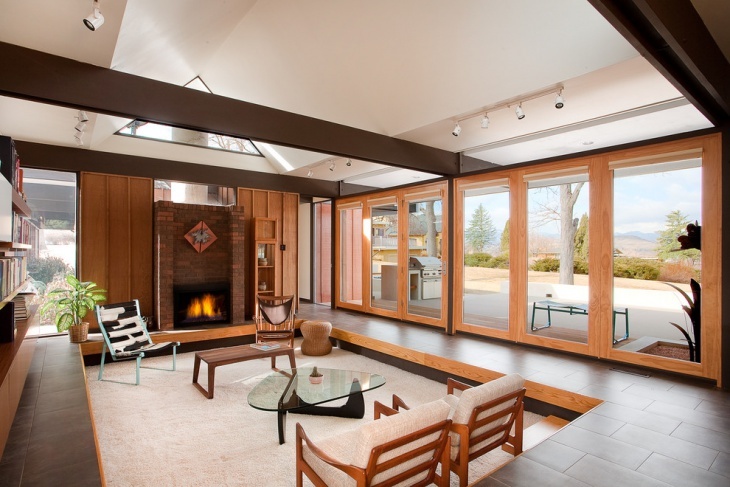 Grey or reddish brown finish of the furniture will go well with this setting. 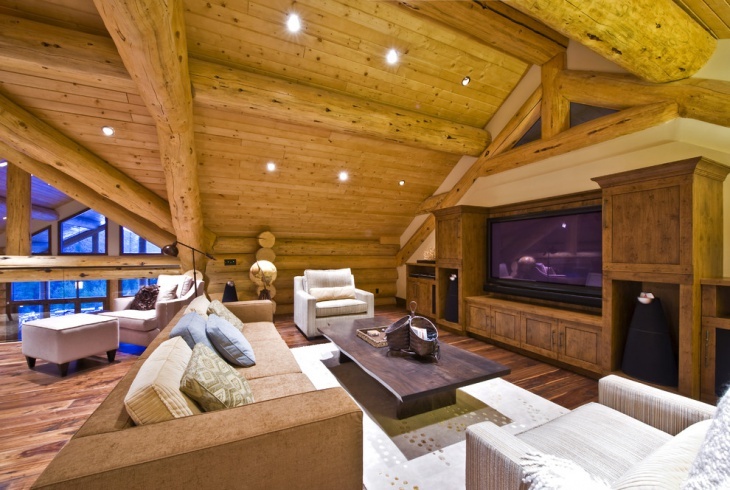 You can incorporate a modern finish to the log house by getting in touch with the right lighting. 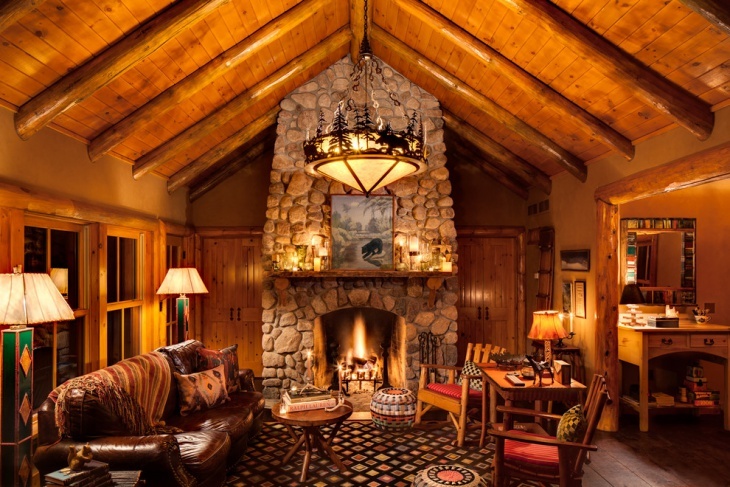 Small shiny lights along the slopes of the ceiling will deliver a natural look to the cabin. 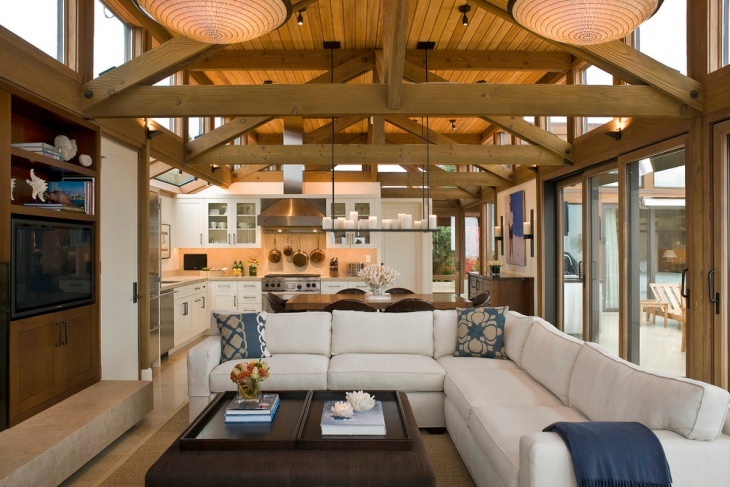 Thus, you can blend tradition and modernism in your rustic lifestyle. 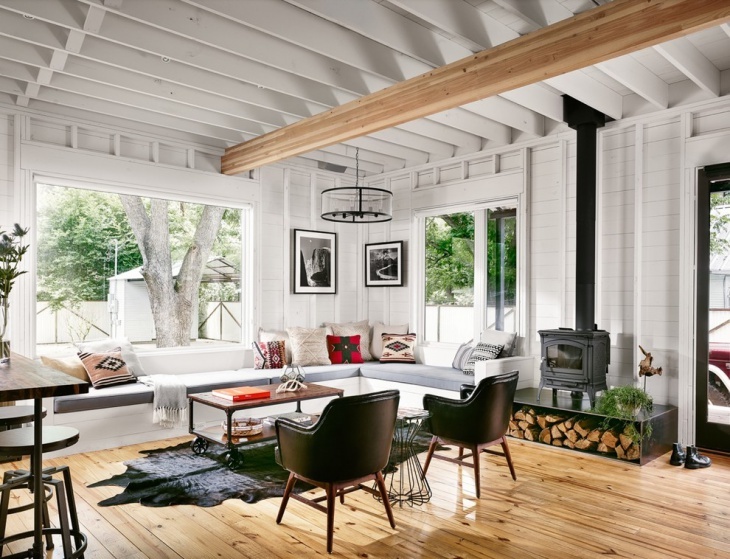 A perfectly designed Cabin Living Room can yield the desired elegance and you will surely boost up your class and status with the choice that leaves a long lasting impression in your lifestyle. 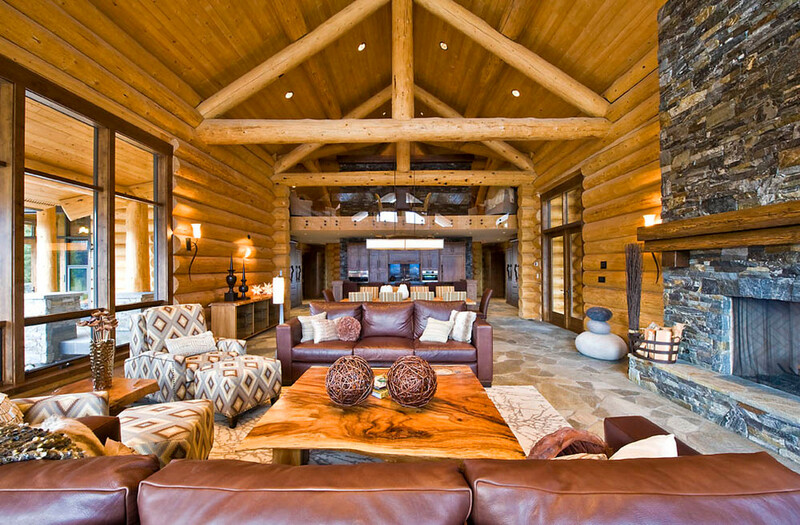 The essence of log walls along with customised interior is worth enjoying. You too may come up with new ideas and you are free to let us know about the designs you innovate.